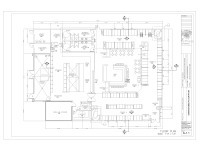 Keith Pearce and Associates uses the Latest computer and CAD Technology to produce fast and accurate drawing. From Preliminary sketches to full 3D colour renderings and elevations. We can take the guess work out of your project by taking care of every detail. Keith Pearce and Associates has 30 years of design and consulting experience in the food service industry, with an understanding of kitchen equipment and operation that ensures your facility will be right for your needs. Because of many aspects involved in planning, budgeting, design and construction of your kitchen facilities, you need the assistance of Keith Pearce and Associates to help you avoid costly errors, and to ensure that your operation will be a successful reality. 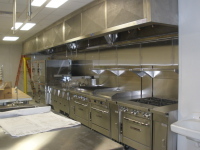 Commercial kitchen design allotted space so that every square inch contributes to your company’s bottom line. We see diversity as our strength, and this has ensured that we've been a practice of choice for more than 30 years. Our team has a great wealth of experience and know that, despite the complexity of the construction process, there should be no mystery to the client.